Do you use upselling or suggestive selling in your business? Only sometimes? Does it depend on who takes the order? Your POS can help you develop a more systematic upselling approach to increase average ticket totals.Say you average 30 orders a day, and on-screen upselling prompts increase the average ticket total by even $1. That's $30 more per day, or over $10,000 per year! Clearly upselling customers can pay off. High margin items—the ones that make you the most money. Increasing ticket averages isn't effective if the increase is due to the sale of low-margin items. For example, when a customer orders a create-your-own pizza, try suggesting a higher-margin specialty. New menu items—a great way to encourage your customers to try these. Extra inventory—the stuff that’s overflowing your freezer. Easy add-ons and logical combinations. List the primary item, and then beside it, any logical add-ons. Does your pricing structure make upgrades (for example, to a large beverage or pizza) an easy sell? Can you tweak your prices to make the upsell more appealing?How much is too much? 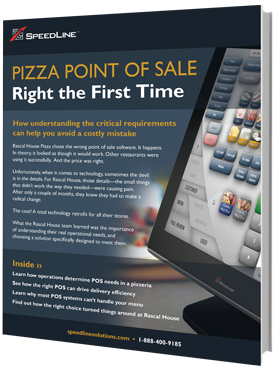 In this Pizza Marketplace article, Black Book author Kamron Karington suggests that if you try to upsell customers by more than 25% of their original order, your strategy may backfire. 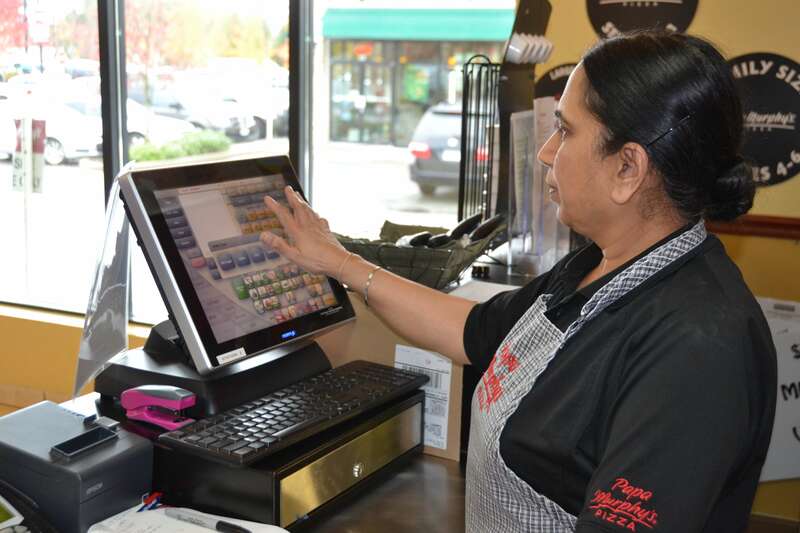 SpeedLine makes these upsells easy by showing prompts during the order-taking process. But while prompts act as a handy reminder to order-takers, good training, coaching, and offering incentives like upselling contests with attractive prizes will ensure the prompts aren’t ignored. SpeedLine customer? See step-by-step instructions for adding upselling prompts to your menu in this online tutorial. SpeedLine’s Directed Order Entry tools make it easy to walk order takers through a value meal order without making mistakes, and they can incorporate suggestive selling prompts for upsizing and more. Customer orders a burger? A prompt asks if they want to make it a meal. Considering a new package deal? Read What to Consider When Designing Value Meals for tips. Writes guides, online help, and training content for SpeedLine POS users. An avid hiker and dancer, Lisa also enjoys learning new and exciting things.